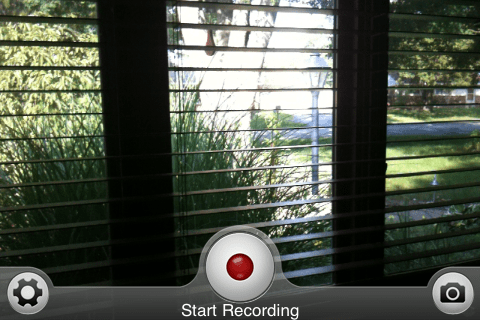 RecordNow is a camera/video recording app for iPhone and iPad that significantly speeds up the process of recording. Ever had an event happen right in front of you but by the time you got the Camera app launched, switched to video mode and started recording, the event was over? This app is just for those times. Instead of the process of launching, choosing mode, and recording, RecordNow begins recording the moment you touch the app’s icon in your home screen. It’s recording as it starts. 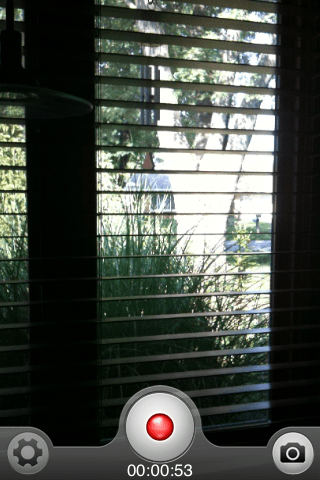 It also has a snapshot feature that allows the user to take a snapshot while it’s recording without stopping. Graphics were designed to minimize the intrusion of graphical and navigational elements on the screen, which helps to maximize the viewing area and simplify the overall look. Only the most important and necessary elements are in view.